Mickelson shot a two-under 70 on his return to the PGA Tour this season at Torrey Pines. (CNN) -- American Scott Piercy made a storming start to the Farmers Insurance Open in San Diego with an eight-under-par 64 to take the first round lead in San Diego. Piercy has local knowledge of the Torrey Pines golf complex, which is being used for the PGA Tour event, as he attended San Diego State University and used it to fine effect to tie his lowest score as a professional. He holds a one-shot lead over American trio Ben Crane, Chris Tidland and Matt Every and Japan's Ryuji Imada. All were playing on the easier North Course, with Piercy shooting 29 on his front nine and ending with nine birdies and a solitary bogey. "Last year, I learned a lot," Piercy told the PGA Tour's official Web site. "I felt like I should've won two or three times." Best of the scores on the tougher South Course came from in-form Australian Robert Allenby, who carded a five-under 67, hitting a high percentage of fairways to lay the foundations of a fine round. 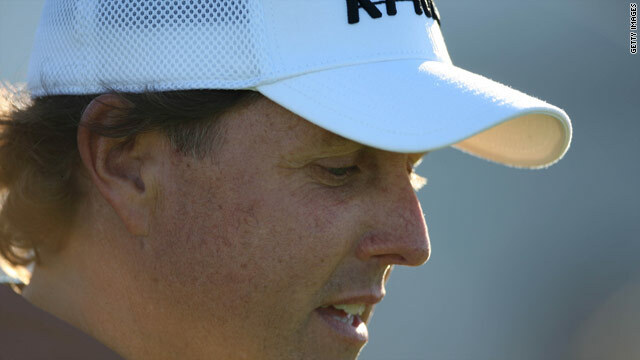 World number two Phil Mickelson, who was also playing on the South layout, carded a two-under 70 on his PGA Tour season debut to stay in the hunt. "I was anxious to get the year started," Mickelson said. "I got off to a solid start. I am further along than year's past." Mickelson, who has 37 PGA Tour career wins, mixed three bogeys and five birdies as she showed a little ring rust, but he is confident the work he has done in the off-season will bear fruit. "I feel more ready to come out and shoot low scores than I ever have," he added. Play alternates between the two courses for the first two days with the weekend play at La Jolla on the South Course. This course was used for the 2008 U.S. Open which was the last major won by world number one Tiger Woods, who is taking an indefinite break from golf after revelations of marital affairs. In his absence, Mickelson is looking to close the gap in the rankings, starting at Torrey Pines where he has won three tournaments as a professional after spending much of his childhood in the area.